Leonardo DiCaprio was yet again playing the role of a classic character that many had come to either love or hate from the book of the same name. Jay-Z is one of the greatest rappers of all time, and he’s the main person behind the score of the movie. When you see those two names, you wouldn’t think that it would be anything less than the word that is directly focused on the title – Great. The hype was built, the stage was set, and I was really excited to watch this movie. The answer as to if it lived up to all of the hype prior to releasing can also be summed up in one word – no. I started reading the book, but based on comments from many people, there were very polarizing views on it that they either loved it or hated it. I’ve yet to come up with my own views on it (as I’ve yet to finish it), but as for the movie, I was greatly disappointed in what I witnessed. The 20s were a time when it was upbeat and in full fruition since the war was over and the city of New York was steadily growing. The parties were grand, the fashion was trendy, and in the centre of it all was one man who had the mysterious aura of almost Godly proportions – Jay Gatsby. Since the beginning of time (or elementary school), everyone knows that a majority of the time, the popular people are the most popular and want everyone to like them because they were nothing when they were growing up. There are also hidden secrets that contribute to over-the-top behaviour. In Gatsby’s case, it’s the love of his life. Love can make someone do crazy things, we all know this, but how far would you go just to capture the attention of one person? The person who means the most to you? Some people would buy the world if they had to, and it seemed as if Gatsby did try to do that. 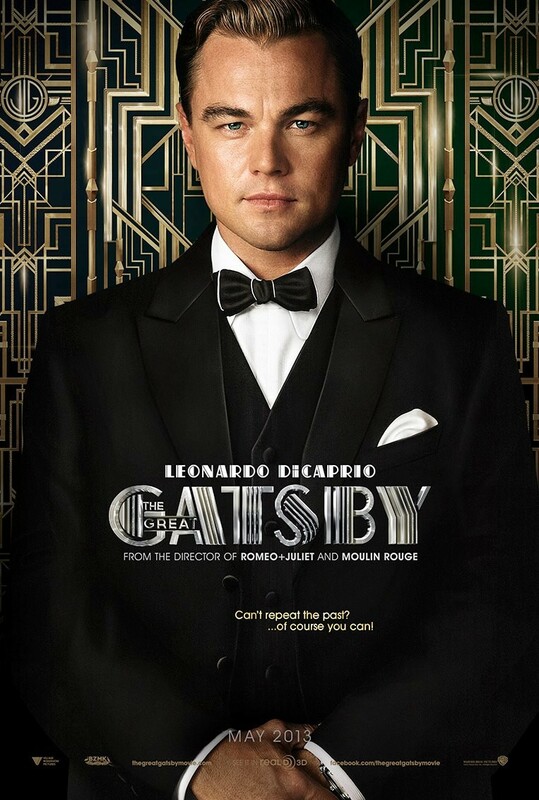 The storyline is great since it’s the world of Gatsby through the eyes of Nick Carraway (played by Tobey Maguire), but that wasn’t what I was disappointed at. This movie felt forced and I felt like I was watching a film on screen that was supposed to be made for Broadway theatre. For one thing, it’s hard to take Tobey serious when he’s played Spiderman for 3 straight movies and nothing else. In a role like this, I didn’t feel it, and it was bland more than anything. He didn’t bring a personality that convinced me to liking his character – that would be strike one. Strike two would be the fact that the story was pretty much all over the place and at the pace it was moving in, I found myself bored for basically the first hour of it until it got into the story more and all of the ‘WTF’ moments got out of the way. The soundtrack for the most part had songs that were useful where they needed to be, but songs on the score of the movie weren’t even necessary and I was confused as to why I was hearing Hip Hop in the movie if it’s supposed to be based in the 1920s…like…where…does that make sense? Jay-Z, I appreciate the fact that you stepped into the role of doing the score, but at least stick…to…the script and theme of the movie the whole way through.